This past Tuesday evening I had the pleasure of hearing Randy Newman in a solo performance at the Lincoln Center in Ft. Collins. He played—alone, no band, and an entrance without so much as a “turn off your cell phones” announcement—a wide selection of his song repertoire, from the very oldest stuff to new, unreleased songs, not to mention his usual off-center commentary. A very good crowd on a weeknight in Ft. Collins really seemed to know what they were hearing. Afterwards, we were fortunate enough to be able to visit with him backstage, and the conversation ranged from Shostakovich, Stravinsky, and Schoenberg to film composers John William and Hans Zimmer—which was not what I expected, but which makes sense given the family lineage and his own soundtrack work. It was a true pleasure, a cap to a wonderful evening of music. Several days later, I’m still thinking a lot about his music—and the more I do, the more there is to think about. I have been listening to Guilty!, a four-CD anthology of Newman’s work that encompasses the songs, the soundtracks, and wonderful odds and ends such as alternate takes, unreleased numbers, etc. As an academic, it is natural to me to think a lot about things I like, and to analyze them. I assure you I will not engage in that analysis here; that’s hardly the business of a blog, and it would probably disgust—or embarrass—the artist himself (not that he reads this, of course). I will simply observe that proper analysis of his songs—text-music relations, intertextualities and cultural references—would yield a tremendous amount. His songs’ narrators are, usually, undependable—they tell their stories in ways that telegraph their own weirdnesses and imperfections. This approach is far different from that of, say, a Clara Schumann nature-Lied, where the music serves the poem, the listener is admitted to that poetic space, and the composer seeks to be essentially unnoticed, to disappear behind the poet. 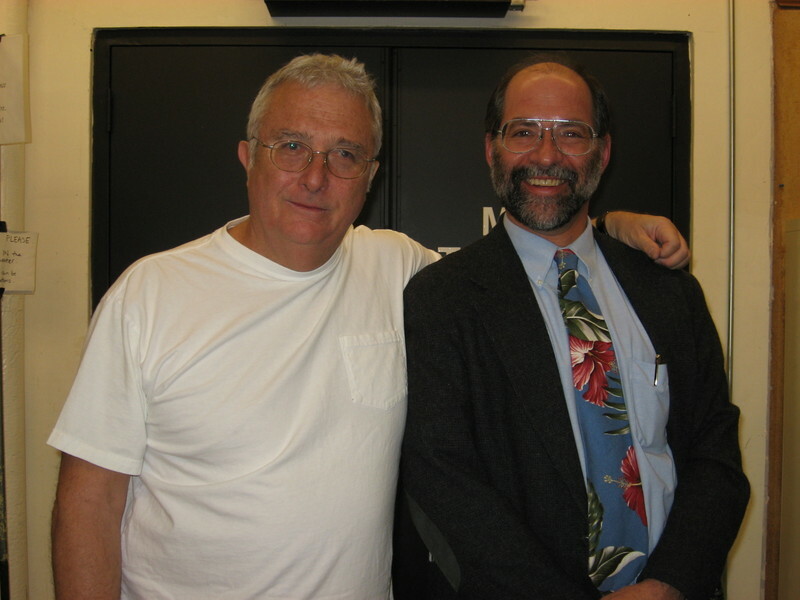 In Randy Newman’s songs we have the undependable narrator, who amounts to two voices (what he says and what he means, or what we can figure out about him), the composer commenting on him via the piano (which occasionally bursts out with something else when it can’t stand it anymore), and the listener, responding in his or her own way to all the repartee: in other words, a psychologically complex and witty four-way conversation. Perhaps it has been pointed out before, but in some ways the undependable narrator isn’t far from Wilhelm Müller’s narrators in Schubert’s Schöne Müllerin and Winterreise cycles: the listener witnesses the Wertherian lovesickness, the ensuing insanity, and (perhaps) suicide. In Schumann’s Dichterliebe, where the piano comments on the narrator, in addition to supporting him, another voice is added to the mix. But are these not pop songs, one might ask, not art songs? Modern art song is more the likes of Elliot Carter, no? Well: much as I came to love the Schoenberg, Webern, and Carter art songs I analyzed in graduate school, it seems to me that the vernacular origins of the song genre should never be forgotten. Surely I am not the first to suggest that technical difficulty + flinty musical language + no chance of popularity does not necessarily add up to artistic merit; those concerns are beside the point. Some modern art songs have great artistic merit, and some (unavoidably) do not: difficulty, accessibility of language and popularity are characteristics but not determining factors. Accessibility of musical language cannot—certain persistent academic biases notwithstanding—disqualify any music, song or anything else, from the possibility of artistic merit. This battle was won by American composers of the 1920s and 1930s (Copland, Gershwin, Thomson et al. ), and there is no hiding behind snob value to suggest it isn’t the case. My point is that Randy Newman’s work amounts to a five-star art song repertoire hiding under the deceptively attractive arrangements and packaging of pop music. From a pedagogical angle, analyzing Newman songs, alone or as part of a comparative analysis assignment, would be an extremely valuable exercise, and might even point up some fruitful directions for analysis of the Lied repertoire in general. The cultural references in Newman’s music (Americana, other pop styles, classical music, cartoon music, and on and on) provide commentary on the texts in multifaceted ways, and are unquestionably far better understood by contemporary listeners than those written for nineteenth-century Austro-German listeners—regardless of the tacit and all too common assumption that a “classical” musician or music student should somehow intuitively understand a foreign, historical repertoire from a vastly different culture better than a repertoire from his or her own. It is worth a thought; I am not saying that we should analyze all pop music with this goal in mind, but the Newman song repertoire would yield a tremendous amount. Musical obsessions are wonderful things. For purposes of this blog, I’ll try to give Randy Newman a bit of a rest. Nonetheless, it has been a really wonderful haze to walk around in for the last couple of weeks, a vivid reminder of why we do what we do, and what happens When The Music Just Won’t Let Go. No other way to live. This entry was posted in Academia, Pop Culture, Recordings. Bookmark the permalink.